KOEI TECMO Europe revealed additional details about the gameplay and the limited edition version of their upcoming title Atelier Lulua: The Scion of Arland. 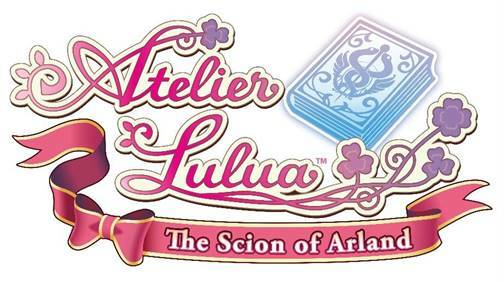 In this new game, you’ll follow the adventures of Lulua Frixell and uncover the mysteries of an ancient codex and the land of Arland. Discover beautiful lands, both already known and yet to discover ones. You’ll come across raw materials as well as rarer resources to help Lulua in her quest to find the truth about Arland. The raw materials are used as a part of the game’s Synthesis system, a fundamental part in the Atelier series. It allows players to create new items. In this new title, you’ll decrypt the codex so you will unlock new recipes that will help you along the way. Items are able to take on new characteristics and can receive powerful abilities. These fresh-yet-familiar systems synthesize together with the new ‘Awakened Effects’ mechanic to offer a bounty of possibilities to aspiring alchemists. When you’re using the cauldron, you can use raw materials with the ‘Awakened Effects’ ability in order to give the item a secondary element. Get ready to create a variety of items, which are all unique and useful on your journey! But wait, that’s not all! A Limited Edition version of Atelier Lulua: The Scion of Arland was also announced! This one is available exclusively through NISA Europe Online Store. The Limited Edition includes a physical version of the game, a hardcover art book, the ‘Sound Archives’ official soundtrack, keychains of Lulua & Rorona and a deluxe cloth poster, all packaged together in a delightful collector’s box featuring the artwork of the young aspiring alchemist, Lulua. This brand new game will release on Nintendo Switch, PlayStation 4, and PC on May 24th, 2019. Nelke & the Legendary Alchemists: Ateliers of the New World – Will be launched coming Friday! Nelke & the Legendary Alchemists: Ateliers of the New World – Gameplay details revealed!